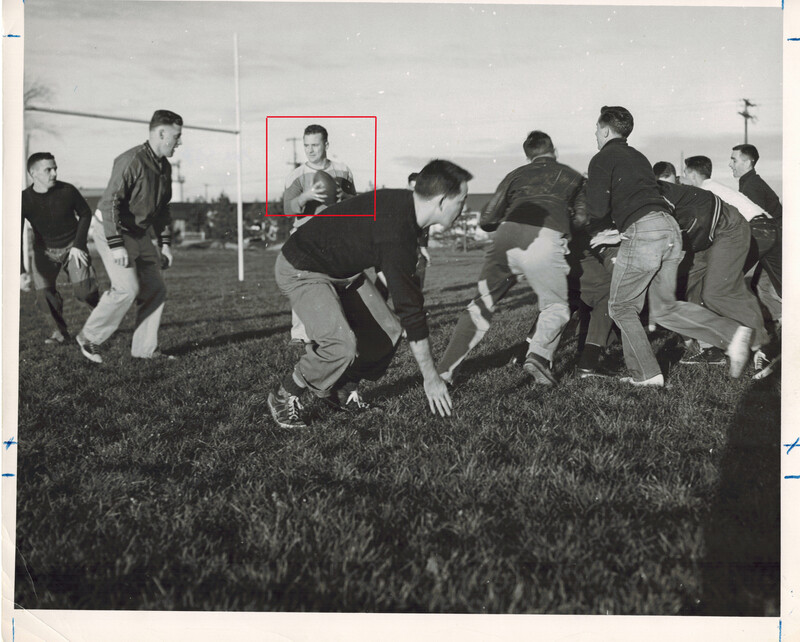 Larry Smith was born in Hamilton in 1923 and served in the RCAF during World War II where he took up footballl. 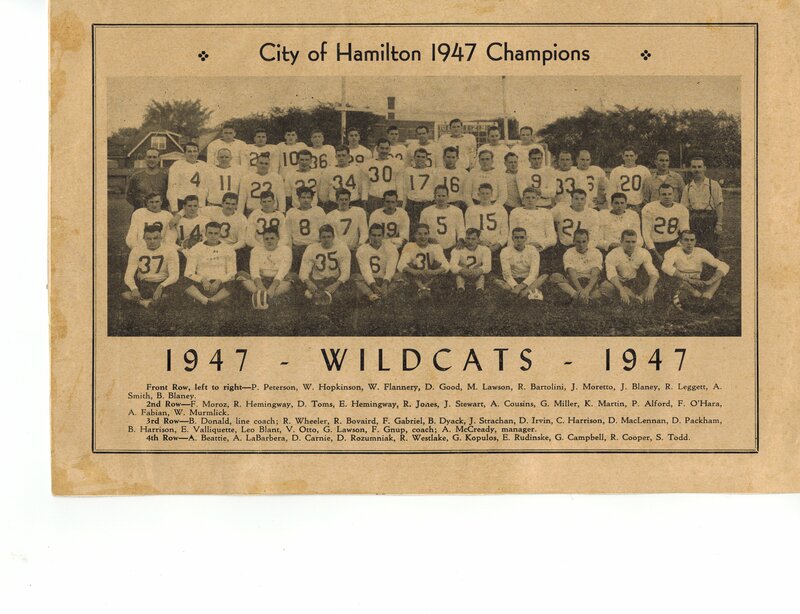 After the war, Smith played for the Hamilton Wildcats of the ORFu (Ontario Rugby Football Union) in 1947. 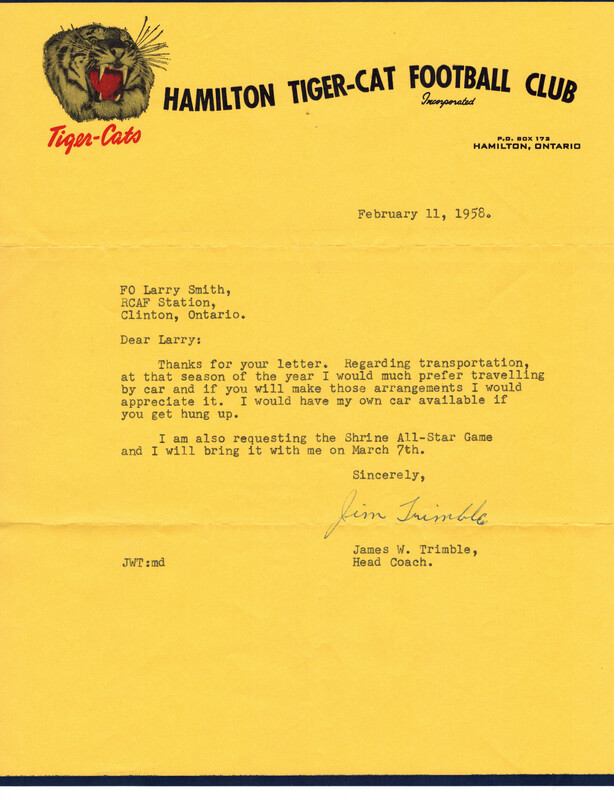 After retiring as a player, Smith maintained a close relationship with the Tiger-Cats (formed by tghe merger of the Wildcats and the Tigers in 1950) and football in Canada. 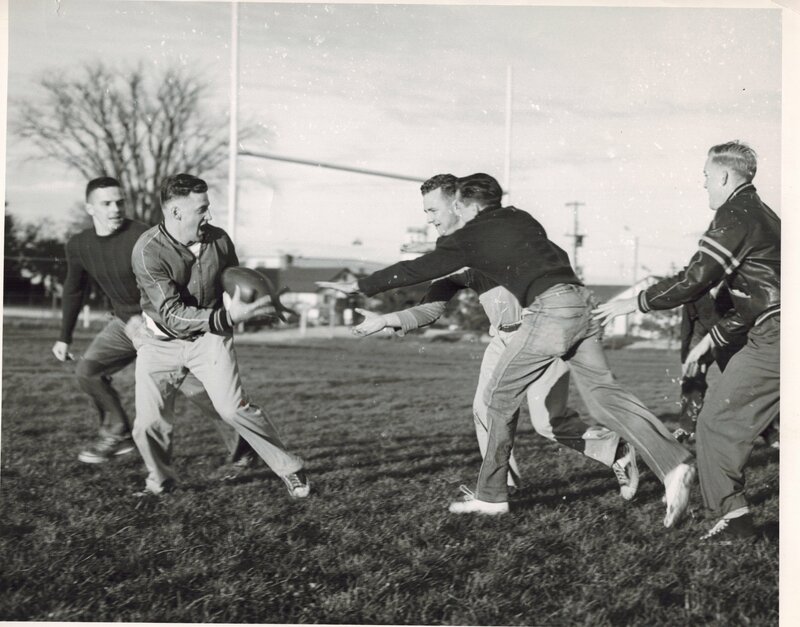 Smith was the first director for the Canadian Football Hall of Fame which is located in his home town of Hamilton. 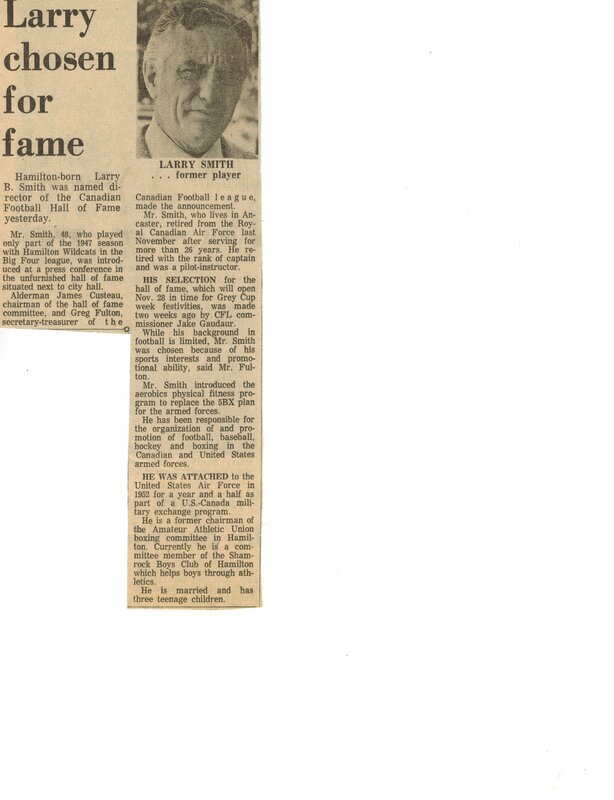 Smith was named to the position with the Hall of Fame, shortly after his retirement from the RCAF where he served for over 26 yars and retired swith the rank of Captain. No stats are available for the 1947 ORFU.